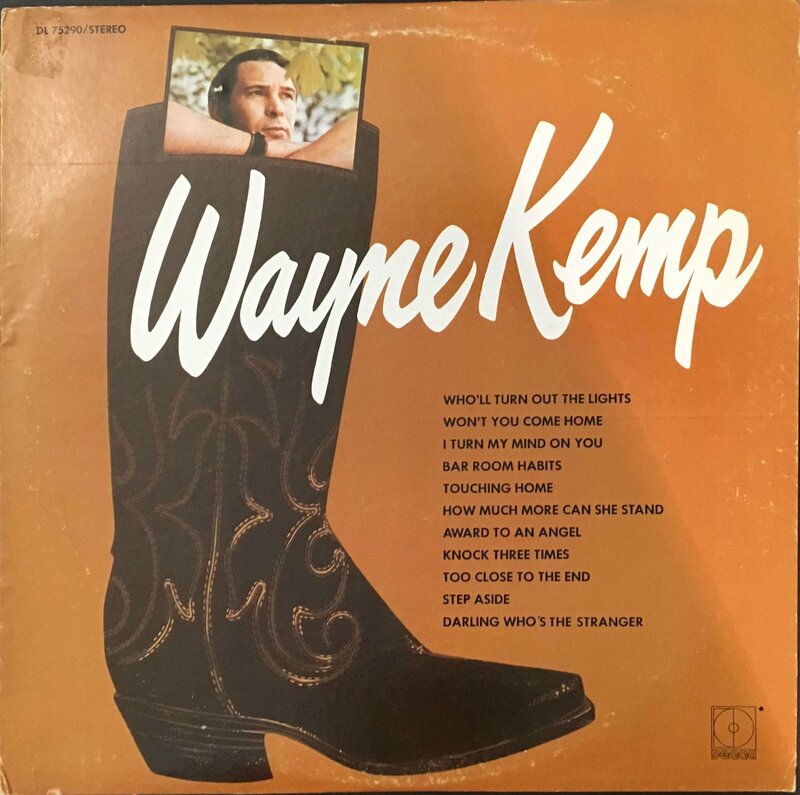 In this week's episode, we're celebrating the songwriting prowess of Wayne Kemp with his debut full-length album "Wayne Kemp" (1971). Few of country's best composer's could boast the way with words that this purveyor of hard country possessed, and he had handfuls of songs recorded by some of country's legends, as we explore in this week's episode. George Jones, Conway Twitty & George Strait were particular fans of Kemp-penned material, which is more of an endorsement than anyone in country music could hope to get. During his own recording career, Kemp never reached the heights he should have. He had long play albums out on Decca (our feature album), MCA and Door Knob but enjoyed only a few minor chart hits. His vocal style suited the material he excelled at writing: cheating and hurting songs, barroom and carousing anthems - all dripping with fiddle & steel, sorrow & triumph. From his days playing guitar for Patsy Cline, Red Sovine, Jones & Twitty - he must have picked up something along the way because our feature album features some of the best pure country music you could ever hope to hear in any era. Highlights include some of his own compositions in "Bar Room Habits", "Won't You Come Home (And Talk To A Stranger)" and the heartbroken "Who'll Turn Out The Lights" as well as a handy cover of Faron Young's hit (via Ray Griff) "Step Aside".